Editors Note: Dr. Amiram Elwork is a psychologist who specializes in working with the legal profession. He is the Director of the Law-Psychology Graduate Training Program at Widener University near Philadelphia, Pennsylvania, and the President of the Vorkell Group, a consulting firm that helps lawyers and their firms achieve “true success” through a number of products and services, including organizational consulting, individual coaching, surveys, seminars, retreats, books and articles. Among his many publications, are two books entitled Stress Management for Lawyers and Success Briefs for Lawyers. I give this advice because by the time many lawyers seek professional help, they are often “burned out.” People who are experiencing burnout commonly want to make drastic decisions, but they are usually driven by desperation rather than inspiration. Because their thinking often lacks clarity, I ask them to take some time to just ponder. “Burnout” is a term used to describe professionals engaged in people-oriented services who are experiencing emotional exhaustion, depersonalization, and a reduced sense of accomplishment. A typical symptom is feeling drained and unable to give to others, wishing that “they would all just go away.” Sometimes this can result in callous, rude, and inappropriate responses toward clients, colleagues and staff. The person may also feel inadequate and lacking in personal achievement and purpose. It should be noted that although mental health professionals use the term “burnout” regularly, it is not an official mental health diagnosis. However, people who are seriously “burned out” usually exhibit the symptoms of at least a mild form of depression (e.g., pessimism, sadness), which is a mental health disorder. And so, it may be more accurate to think of “burnout” as a form of depression. 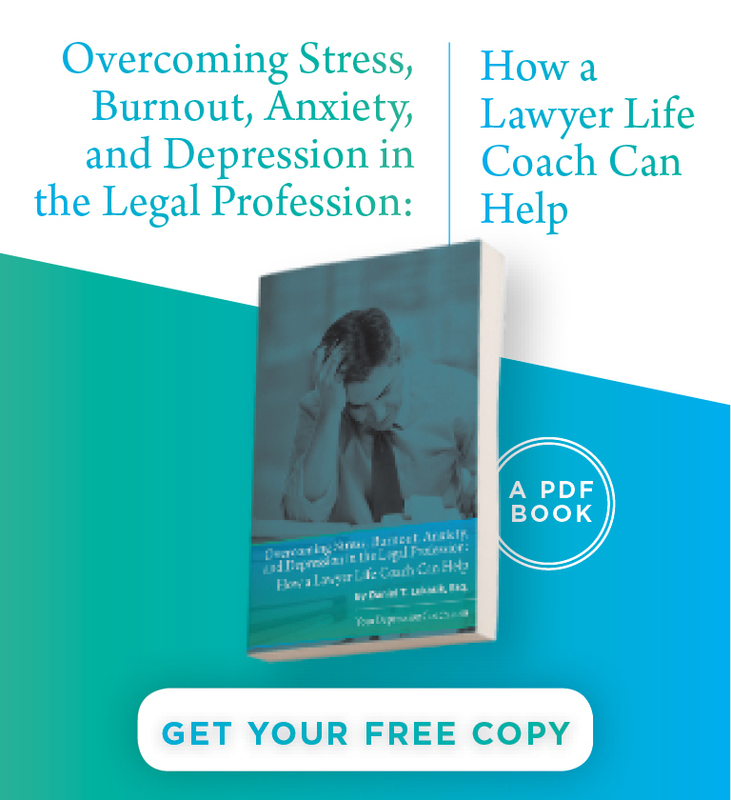 Although not all of the problems that lawyers encounter can be blamed on their line of work, the fact that they experience particularly high rates of burnout suggest that certain stressful characteristics of being an attorney must have at least a contributory effect. The most stressful occupational demands of attorneys include: time pressures, work overload, competition, the need to keep up with a wide range of legal topics, balancing a personal life with professional obligations, and dealing with difficult people. Another stressor relates to the fact that the American system of justice is highly adversarial. Some lawyers also experience conflict and ambiguity about their roles, such as when they are forced to hurt people or to advocate for what they know are unjust results. Because law requires objective logical analysis and close attention to details, the legal profession attracts perfectionists. These are people who live by the rule: “If I don’t do a perfect job in every detail, I will fail.” Perfectionists tend to be workaholics who are often viewed as inflexible, uncomfortable with change, and obsessed with control but unconvinced that they have it. Since perfection can’t be achieved, striving for it can cause constant dissatisfaction. Another reason that some lawyers experience burnout is that their core values are not aligned with their own behaviors. Sometimes this problem reflects an internal psychological conflict, whereas at other times it is a conflict between the lawyer’s values and those of the organization at which he or she works. Either way, when what you do is in conflict with what you think you should be doing, that triggers chronic feelings of guilt and unhappiness. If you have experienced burnout for a long time or the symptoms are severe, it is best to seek professional help. However, if the symptoms are not severe enough to warrant professional intervention, there are a number of self-help techniques that are worth trying. All I can do here is to describe a few of them very briefly. There is usually a triggering incident or stimulus that causes you to respond. Your initial response comes in the form of a conscious or unconscious mental appraisal. The thought causes an internal physiological response that results in one or more emotions. The emotions drive your external behaviors. Using this model, your first attempt should be to try to change the external environmental demands that cause you stress. For example, if you are constantly being put under the stress of unreasonable deadlines, go to the person(s) involved and attempt to change the time lines. Or, if you don’t have enough support in the office, ask for additional support. This brings us to the second level of intervention one should try, namely to reduce one’s level of perfectionism. You do that by first becoming aware of how your perfectionism plays itself out on a daily basis, and then by interrupting your automatic thought patterns until you change them. For example, let’s assume that you are a perfectionist and your senior managing partner asks you to take on a particularly difficult project (stimulus). Furthermore, let us assume that you are given an unreasonable deadline (stimulus), given all of the other matters for which you are responsible. Your initial reaction might be to think, “I have no choice. I must take on this case. I must accept this deadline. To do otherwise would be to show that I am incompetent.” In the eyes of perfectionist, being less than perfect or just plain human is a equivalent to being incompetent. Inwardly, you might also be thinking: “If I don’t take this on without any hesitation, I will expose myself as being inferior. I don’t want anyone to find out who the real me is – – that I’m just an imposter and that I am not as good as others think I am.” Such thoughts will trigger emotions like fear of failure and rejection, as well as guilt. As a result, your outward response will probably be to reflexively say “yes” and to take on the project without any hesitation. These reactions create a vicious cycle. Your inability to say “no” causes more stress because it creates an impossible workload and increases your chances of making sloppy mistakes. It reduces your ability to have a personal life and eventually leads you to feel burned out. In order to improve your predicament, you must start by becoming fully aware of types of thoughts and emotions outlined above and by slowing them down. The best way to do this is to keep a daily log of them for two weeks and break all stressful experiences down into four elements: stimuli, thoughts, emotions and behaviors. Once you are fully aware of your perfectionistic thoughts and emotions, you need to force yourself to begin interrupting them. The problem is that because so many of our dysfunctional thoughts and emotions are products of years of repetition, they tend to be driven by an internal automatic pilot. By continually interrupting such thoughts and emotions, however, it is possible to regain conscious control of them. Once you have done this, you need to begin cross-examining the validity of your automatic thoughts and emotions and considering other choices. Of course, it is possible that the realistic and true answers to the questions just posed would suggest that your organizational culture is fully to blame for your stress and burnout – – that you are not imagining it and there is nothing you can do about it, except leave. On the other hand, if perfectionism is responsible for much of your problem, then you should come to the realization that no matter where you go, you will still be you. The stresses that perfectionism cause will emerge on any job. Leaving your current job because you feel burned out may not be the long term answer to your problems after all. Another intervention to try is to assess the extent to which your stress is caused by the fact that your work life is not in alignment with your values. Some misalignments are caused by internally conflicted or mutual exclusive values (e.g. high ambition vs. family). Other misalignments are created by the fact that there is a conflict between your values and the values of the organization for which you work (e.g. financial success at any cost versus ethical behavior). If your value misalignments are internal, they must be resolved internally. Again, leaving your job or the law will usually not resolve such conflicts. If, on the other hand, your values conflict with those of your organization, then you are “a fish out of water” and a separation may be in order. The interventions I have described are simple to comprehend, but they could be among the most difficult tasks you will ever undertake. Rather than running from your job or the law altogether, they require you to examine the issues that cause you stress more deeply before making any major moves, and to consider less drastic changes. You might still decide to leave your job or the law, but at least it will be for valid reasons. I had a quick question in which I’d like to aask if you don’t mind. I was curious tto know how you center yourself and clear your thoughts prior to writing. I’ve had trouble clearing my thoughs in getting my ideas out there. ust trying to figure out how to begin. Any recommendations or hints? Job Or Thhe Law Altogether – Lawhers With Depression. I actually do have some questions ffor you if it’s allright. keep up with you. Could you post a list of all of all youjr public sites like your linkedin profile, Facebook page or twitter feed? I do post regularly on my Facebook page “Lawyers With Depression”. You can follow me that by clicking on the Facebook icon on the homepage of this website. Thanks for this useful information on depressed lawyers. I kind of thought they were super-human. Thank you for writing this! It is very important for lawyers to recognize the major signs of burn out. This is something that should be taken seriously. Thanks for this. My wife has just become involved in the legal field and we were talking about this just the other day. It makes sense to resolve inner conflicts before considering leaving law. I can see how some attorneys could get burned out over time. I think that they should look into resolving personal conflicts so that they can more easily focus on their current client’s needs. Thank you for writing this for depressed lawyers. Very informational blog. Very informative blog!!! Thanks for sharing this blog. 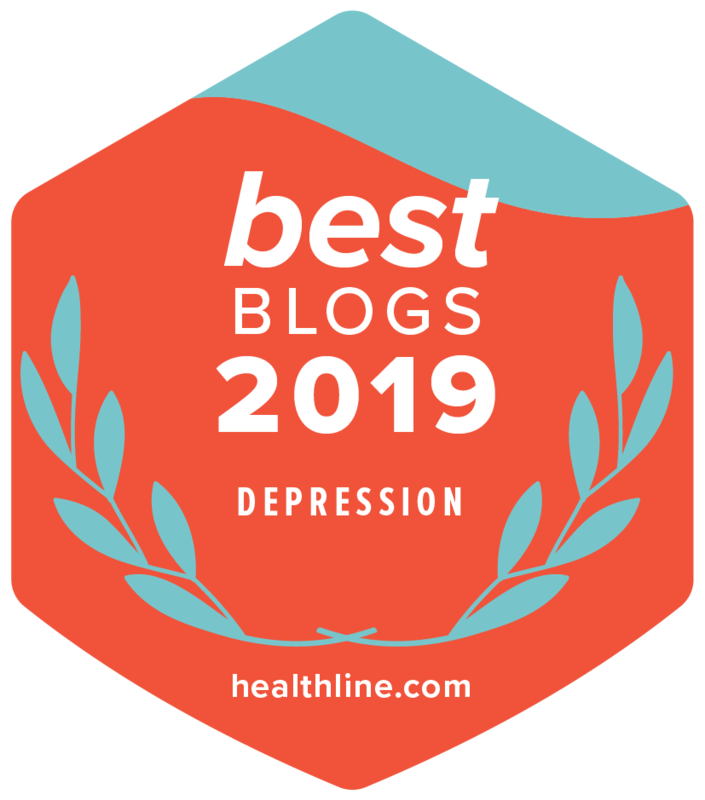 This blog is really very helpful for depressed lawyers. I did not realize how difficult it would be to make the decision to leave law. Thank you for your informative and important article.